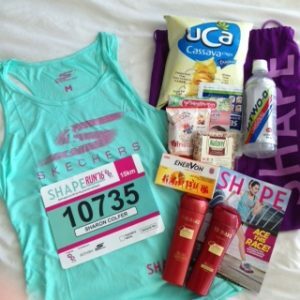 Race Review: Shape Run 2016 [15 km] (by Sharon C) | JustRunLah! 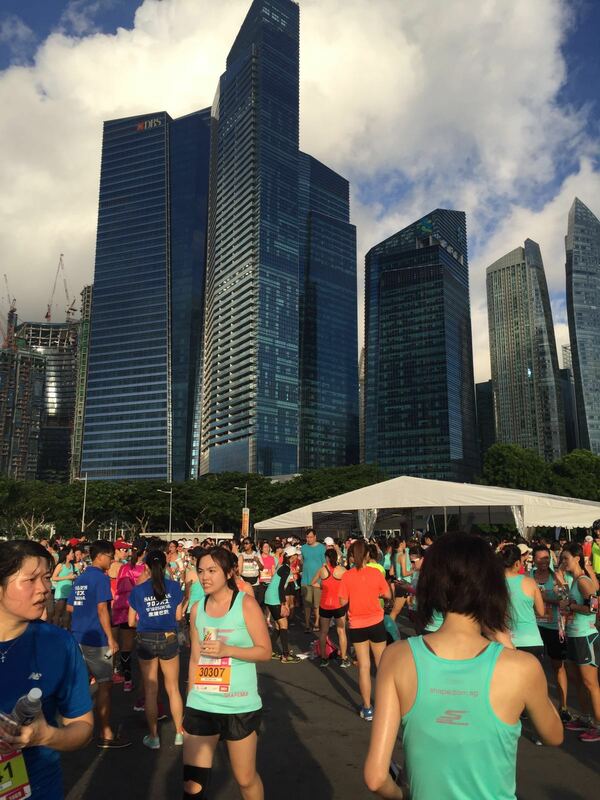 Singapore’s first all women’s race celebrated its 11th year this weekend at Bayfront Event Space and I was very excited to be part of it! 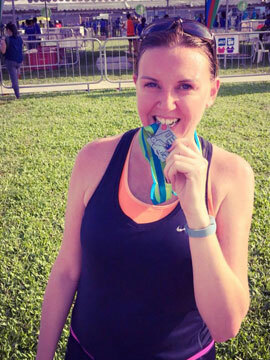 As well as the 5km and 10km races, there was also a 15km category, which I decided to go for. 15km is a great distance to bridge the gap between a 10km and a half-marathon and as I usually opt for 10km, I wanted to challenge myself. 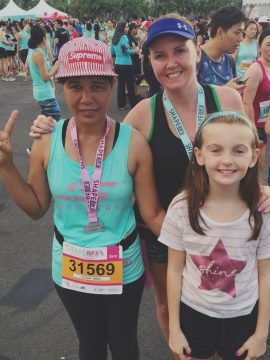 There was also a 1.8km Family Run. 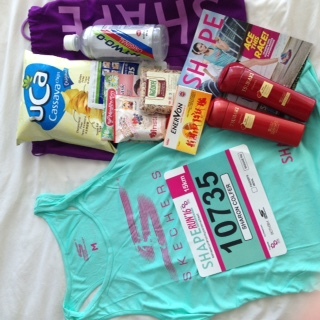 Race pack collection was a breeze – no queues and the staff were lovely. 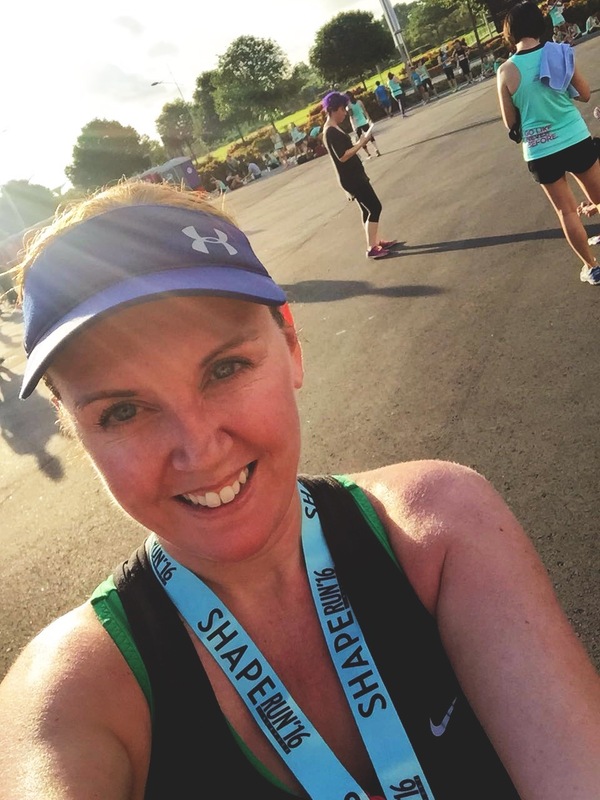 The race pack itself was awesome – some seriously good swag – and definitely worth far more than the race registration fee, which was reasonable to begin with. I wasn’t exactly thrilled to be woken up by the alarm at 4am, but I was relieved to see that it wasn’t raining, given the recent bout of pre-dawn thunder and lightning storms. In fact, the weather was perfect for running – temperature was cool and pleasant for my 6am flag-off. 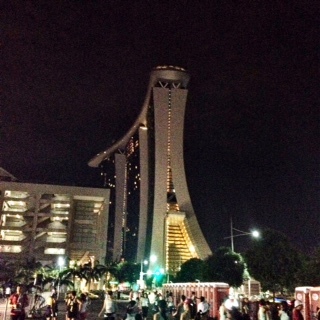 The 15km route took us past Marina Bay Sands, along Gardens by the Bay (South), Marina Barrage, Gardens by the Bay (East), past the indoor stadium and Singapore Sports Hub, Millenia Walk and Merlion Park, allowing us to take in Singapore’s picturesque city skyline. Markers along the route were clear and well-positioned, as were the several hydration points. What I really liked was that the volunteers cheered us as we went by and were so encouraging. This can make a huge difference when you’re tired and flagging and wondering what on earth you are doing up at this ridiculous hour! Another well-deserved shout out to the fantastic pacers. 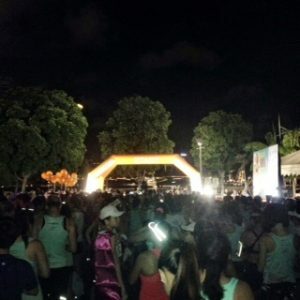 I tagged along with the 1:40 gang for the first 3-4 kms, until I looked around in dismay to realise that I’d lost them.. Not a balloon in sight! Undeterred, I picked up the pace and soldiered on, only stopping to help a runner who had tripped and fallen over. Hopefully she is ok and managed to finish her race. I rocked up (ok, almost threw up) at the finish line in 1:34, according to my trusty Garmin and was delighted to see my husband and daughter there to welcome me home. I felt fantastic! I was pleased with my performance, considering I was on antibiotics for a kidney infection (cue the violins) so I didn’t have a target time in mind. My helper, Olive, ran her first ever 5km race and nailed her target time of 30 minutes. She loved every minute of it. 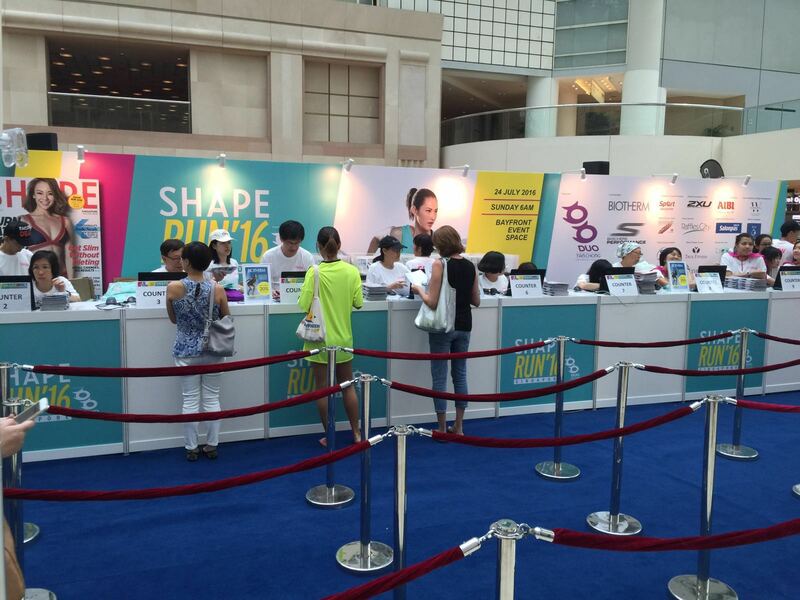 The Shape Run was extremely well-organised from registration to race pack collection, to the main event. The race village was buzzing afterwards and we hung around for a while to soak up the atmosphere. I was in selfie heaven! 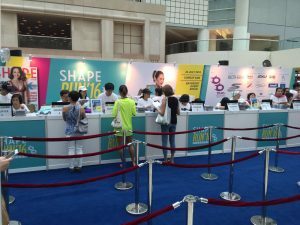 Would I participate in in next year’s Shape Run? Absolutely – it was an amazing experience!